Every Christian has three terrible enemies—“the world,” the flesh, and the devil. “God…made the world and all things in it…” (Acts 17:24). Next, it can refer to people. “For God so loved the world, that He gave His only begotten Son…” (John 3:16). The word “world” here refers to “the world-system”—the enemy of every child of God. This is the sense in which we will be using the word “world” in this lesson. To understand what has happened in the world, we must go back to the beginning of things. When God created the world, He put Adam in charge and gave him dominion over everything. When Adam rebelled against God, he took sides with Satan and came under his rule. 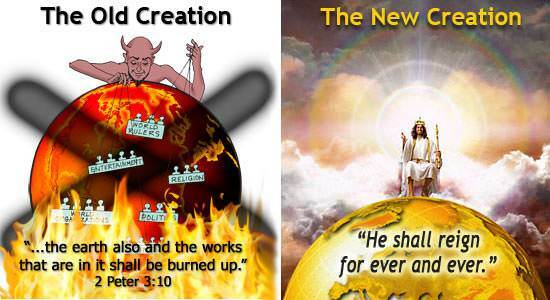 Thus the rulership of the world passed out of Adam’s hands and into Satan’s hands. This is why the Bible calls Satan “the god of this world” (2 Corinthians 4:4). Even though Satan now had the world under his control, he still had a problem. His problem was how to keep people in his kingdom. There was a way of escape. Those who turned to God escaped from Satan’s kingdom. Satan did not like this so he came up with a plan. Satan organized the people and the things in the world into a “world-system” based on selfishness, pride, greed, ambition, and sinful lusts and pleasures. There is nothing of God in these things. What is “the world”? It is human society with God left out. 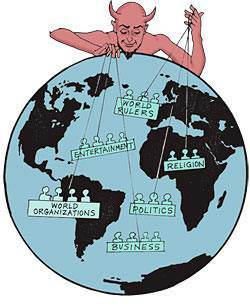 Satan’s world-system includes entertainment, business, education, religion, politics, world kingdoms, world organizations, news media, and hundreds of other things. The world is anything that shuts God out. Satan deceives people into thinking that this world is the only thing that matters. 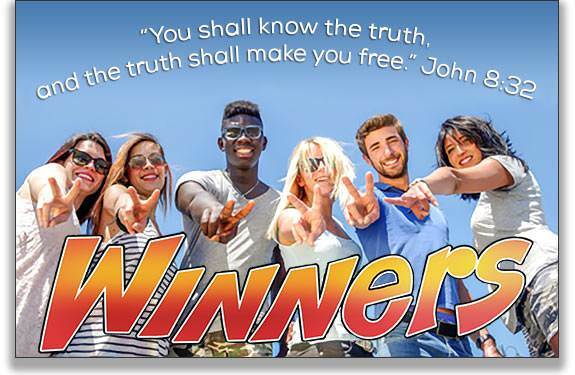 With his world-system, Satan can give people riches, possessions, fame, power, and all kinds of sinful pleasures. 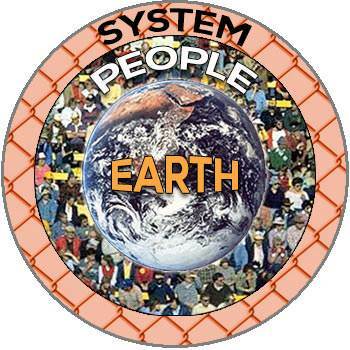 Who is the ruler of “the world-system”? “…the whole world lies under the power of the wicked one” (1 John 5:19). Satan knows that he cannot keep Christians from going to Heaven, but his object is to conform them to the world. He wants them to think like unsaved worldly people, to seek the same things they seek, and to do the same things they do. “Do not love the world, nor the things of the world. 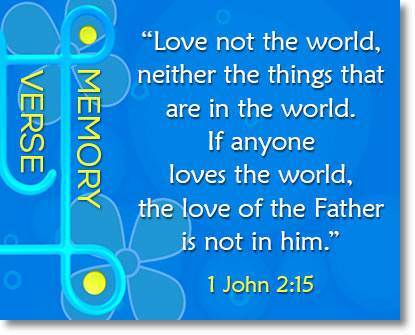 If anyone loves the world, the love of the Father is not in him” (1 John 2:15). “…Do you not know that the friendship of the world is enmity with God? Whoever therefore will be a friend of the world is the enemy of God” (James 4:4). The world is doomed to destruction. Our deliverance from the world comes from seeing the world as God sees it. The world crucified God’s Son. It is the enemy of God, the enemy of God’s Son, and the enemy of God’s people. God has condemned it to total destruction! God wants us to see that the world-system has no future. 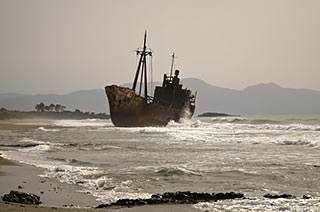 The world is like a giant ocean liner that is old, rusted, and leaking badly. The engines have stopped working. Water is pouring in faster than it can be pumped out. It is only a matter of time before the ship sinks. If I understand that this world is controlled by Satan and that it is doomed to destruction, what place of honor do I want in it? NONE! The Bible says that Jesus Christ “gave Himself for our sins, that He might deliver us from this present evil world” (Galatians 1:4). When Jesus rose from the dead, He rose as the King of God’s new creation. There are now two creations—the old creation and the new creation. The old creation is the kingdom where Satan rules. The new creation is the kingdom where God’s Son, the Lord Jesus, reigns. Nothing of the old creation can come into God’s new creation. How could I, as a sinner, come into God’s new creation? There is only one way. God must end my old life and give me a new life. That is exactly what God did! God put me in Christ on the cross. When Christ died, I died with Him. When He was buried, I was buried with Him. That was the end of my old life so far as God is concerned. “Giving thanks to the Father…who has delivered us from the power of darkness, and has translated us into the kingdom of His dear Son” (Colossians 1:12-13). Satan wants to deceive us. 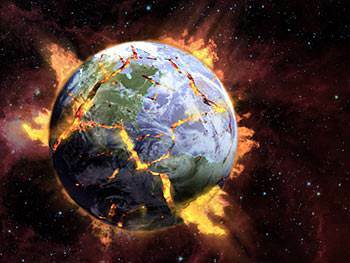 “But the day of the Lord will come as a thief in the night; in which the heavens shall pass away with a great noise, and the elements shall melt with fervent heat, and the earth also and the works that are in it shall be burned up” (2 Peter 3:10). The world’s wealth and splendor, and all its glittering attractions lose their power over the person who is continually expecting his Savior to return in glory and power to translate him in a moment to the glories of Heaven. “Our citizenship is in Heaven, from which also we look for the Savior, the Lord Jesus Christ: Who shall change our vile body, that it may be fashioned like unto His glorious body…” (Philippians 3:20-21). Love Jesus Christ with all your heart. “Whom having not seen, you love; in whom, though now you see Him not, yet believing, you rejoice with joy unspeakable and full of glory” (1 Peter 1:8). Separate yourself from the sinful things of the world. “Come out from among them, and be separate… and I will receive you, and will be a Father unto you, and you shall be My sons and daughters…” (2 Corinthians 6:17-18). God is saying to you, “If you will keep yourself from the sinful things of the world, I will be a Father to you, and I will love you and take care of you.” This is much better than being a friend of Satan’s world-system. 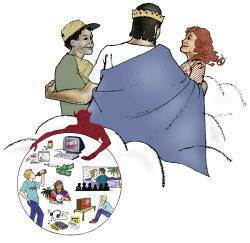 The Lord has left us in the world to be His “ambassadors” to the unsaved. If you love your unsaved friends and relatives, tell them about the Savior who loves them and died for them. “Whoever shall confess Me before men, him shall the Son of Man confess before the angels of God” (Luke 12:8). Remember always that Christ lives in you. Jesus said, “I will never leave you, nor forsake you” (Hebrews 13:5). My main object should be to please Him. Since Jesus is always with me, I must ask myself some questions. Is Jesus pleased when I watch a TV show or a movie with bad stuff in it? No, He is not. Does the Lord Jesus enjoy listening to music that has dirty words in it? No, He does not. If I truly love the Lord Jesus, I will not want to do anything that would displease Him or make Him ashamed of me. God delivers us from the love of the world by giving us something better. If I see a little child playing with a sharp knife, how do I get it away from him? I offer him something bright and colorful. He drops the knife and takes what I am offering him. That is the way God delivers us from the love of the world. He shows us something much better! Christ is better than anything this world can offer us. When we know Christ and His glories at the right hand of God, we have the key to everything that God has in mind for the universe. “As it is written, Eye has not seen, nor ear heard, nor has entered into the heart of man, the things which God has prepared for them that love Him. But God has revealed them to us by His Spirit…” (1 Corinthians 2:9-10). During a famine in the land of Israel, a man named Elimelech took his wife, Naomi, and their two sons to the country of Moab. Soon after this, Elimelech died, leaving Naomi and her two sons. The two sons, Mahlon and Chilion, took wives of the women of Moab. One was named Orpah, and the name of the other was Ruth. They lived there about ten years; then both of the sons died. “Do not intreat me to leave you…for where you go, I will go, and where you live, I will live: your people shall be my people, and your God my God. Where you die, I will die, and there I will be buried…” (Ruth 1:16-17). 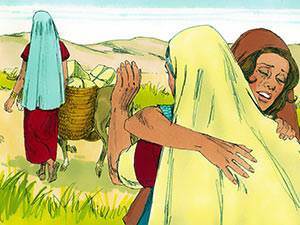 Naomi and Ruth came to Bethlehem at the time of the barley harvest. Naomi had a kinsman, a mighty man of wealth, whose name was Boaz. 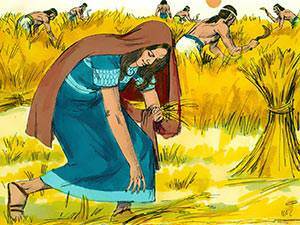 Ruth went to glean what grain she could in the fields of Boaz. 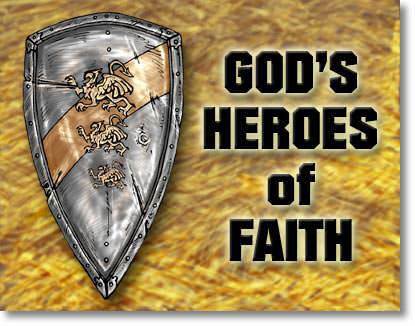 “Blessed be the Lord, who has not left you this day without a kinsman, that his name may be famous in Israel. And he shall be unto you a restorer of your life, and a nourisher of your old age: for your daughter-in-law, who loves you, is better to you than seven sons…” (Ruth 4:14-15). Originally, Ruth was a Moabitess, and a worshiper of idols. But she learned of the one true and living God from Naomi. She chose to leave her people to serve Naomi’s God. God always rewards those who choose Him. 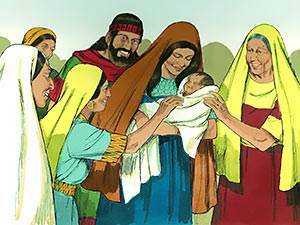 He rewarded Ruth by giving her a son, Obed, who was the father of Jesse, the father of David, Israel’s greatest king. From David’s descendants came our Lord Jesus Christ. In establishing David’s family, which was to produce the Savior of the world, God chose Ruth, a beautiful heathen girl. He led her to Bethlehem and made her the bride of Boaz. She became the great-grandmother of David, Israel’s greatest king. This is God’s grace. He adopts the Gentiles into Christ’s family. We see also how God rewarded the faithfulness of Naomi. It was from Naomi that Ruth learned of the true God.